An agent and consul-general had been resident in Bucharest for decades before Romania gained its independence in 1878 under the Treaty of Berlin. It became a kingdom in 1881. By 1907, Britain was the only major power whose minister did not have a permanent residence. Herbert Willis, the Office of Works architect based in Constantinople, identified 24 Strada Jules Michelet, which the consul was already renting, as the most suitable house to buy for a residence. It was built in brick and render and completed in 1900: though it stood in its own garden, Willis recommended that an adjacent strip of land be purchased at the same time, to bring the site up to a little less than an acre. Both were bought in 1908 for just under £13,000: the house from AG Santza, the guardian of WJ Alexandrescu, elsewhere described as a lunatic, and the strip from the children of the deceased Lt Col LD Dobroneau. A member of the latter’s family sued the British government the following year for recovery of half the strip but the Ilfov Tribunal found against the family in 1911. Ingoing works were implemented, and the consulate and garage were housed in the stables at the back of the site. A one-storey extension for chancery offices was built at the rear of the house in 1921, and a second floor added to it in 1928: but it was all done so badly that the whole extension needed reconstruction in 1937. The house suffered extensive damage from the 1940 earthquake, chiefly on the first floor, and the minister moved out. He was living in Princess Alice Sturdza’s house at the time that diplomatic relations were severed in early-1941: the rest of the building was still usable as offices. The United States looked after British interests during the rest of the war, throughout which caretakers lived in the former stable building. The residence did not return to the legation building after the Second World War, mainly because the area was no longer suitable. 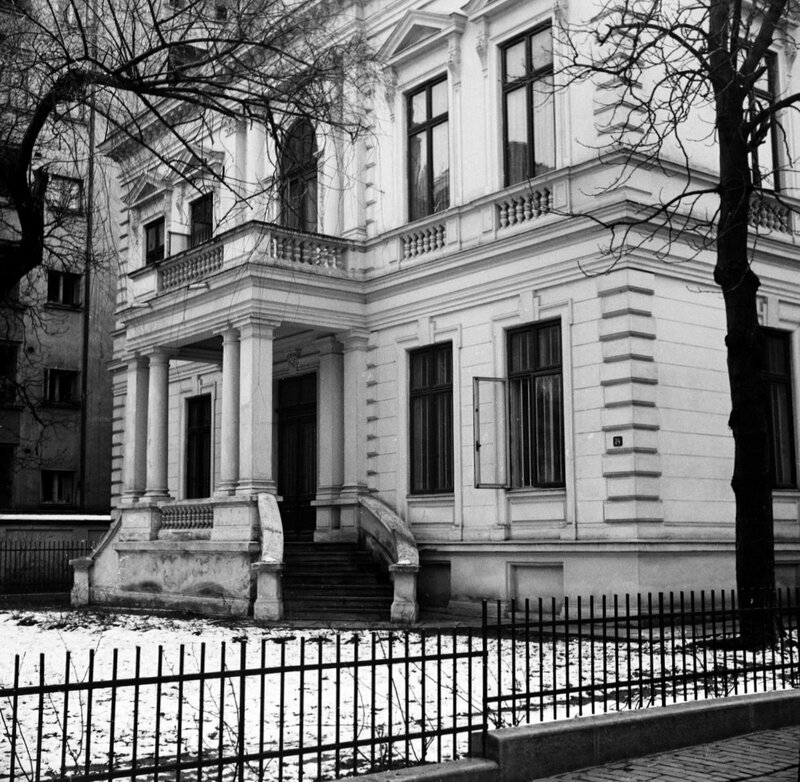 Instead the residence of the political representative, successively Ian Le Rougetel and Adrian Holman, was in a house rented annually from the Florescu family at 51 Chauzsce Kisselev. Any alternative was hard to find but Le Rougetel, with the support of William [?] Blaikie and Richard Turner from the Ministry of Works’ Cairo office, had recommended the house belonging to Virgil Viorel Tilea at 15 Strada Emil Pangratti as a distinct possibility. It was well planned and built in the mid-1930s, and faced a National Park. But acquiring a lease on it proved a contorted process. The Assistant Treasury Solicitor was active in arranging the transaction but difficulties kept appearing: Tilea was out of touch with changing laws at home and had unrealistic ideas, his co-owning wife lived in Switzerland, then Holman himself came on up with a list of what needed to be done to the building before occupation, although earlier he had said that there was nothing needing doing. London again rejected a quick local contract. Holman threw a tantrum and said that he intended to look for another house instead. 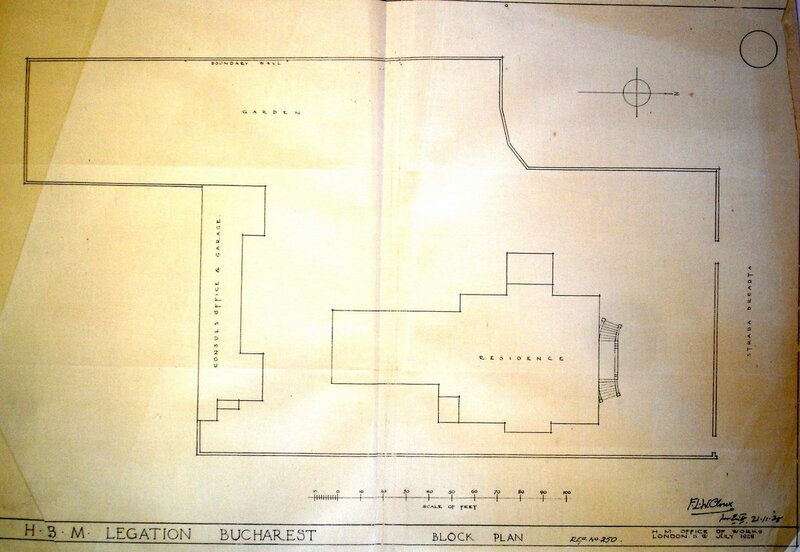 In July 1947 he received a communication from the Romanian government which said ‘… you have full liberty to occupy the Tilea house.’ Six weeks later a further form of words: ‘I hasten to inform you of that from legal point of view there is no obstacle to the realisation of plan of the British legation as regards purchase of the Tilea house’. Holman judged that the way was clear for him to move in, which he did on 22 Sept 1947. His determination proved well judged. Within months both the ministries of foreign affairs and finance were in the hands of the Communists, Tilea had no cards to play but offered to enter into an agreement with the Ministry of Works for a 25-year lease at a premium of £22,000, with an option for a further similar term, and the option to purchase at a nominal sum of £5 ‘when the Minister felt that the position was “ripe” for him to register his title with the Romanian authorities.’ London declined and Tilea suspended all further dealings in January 1948. He was stripped of his Romanian citizenship the following month. London waited for the Romanians to raise the question of a lease. 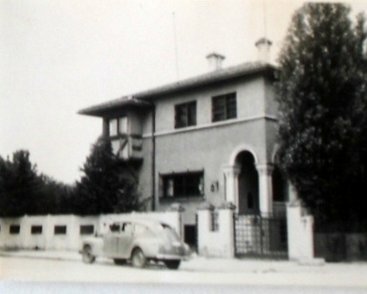 At the end of 1948, the Romanian government wanted the Tilea house for a children’s home and promised that ‘another suitable residence’ would be provided for Holman’s successor. Alternatives were offered and each was rejected. The results of this intransigence was automatically renewable annual leases which secured occupation of the Tilea house for the next forty years. From time to time efforts were made to buy the house but all offers were declined. The house served well as the residence throughout the Cold War. 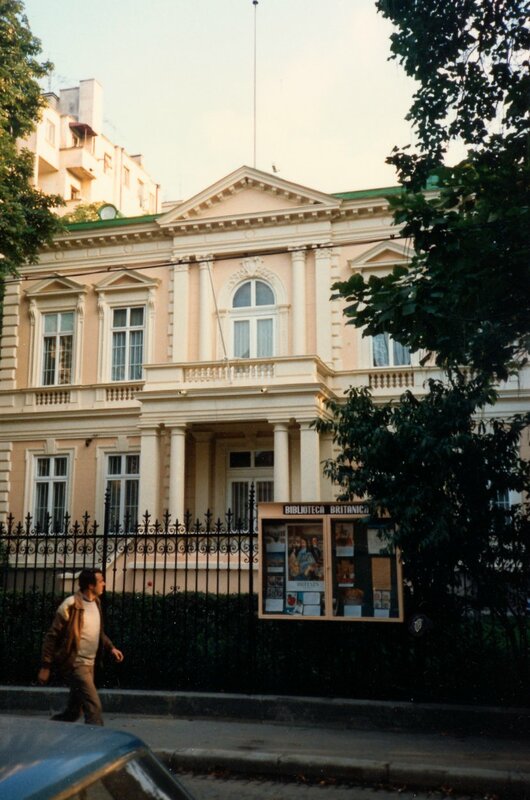 It was, however, severely damaged during the Revolution towards the end of December 1989, and the alarms suffered by the ambassador and his family deterred them from re-occupying it. Another residence was leased in ? at 12 Armindenului Strada. The political representative returned to the status of minister in 1947, and the mission was raised to an embassy in 1963. The former stables at the rear of 24 Strada Jules Michelet were converted in 1965 into a social club and two flats for chancery guards. 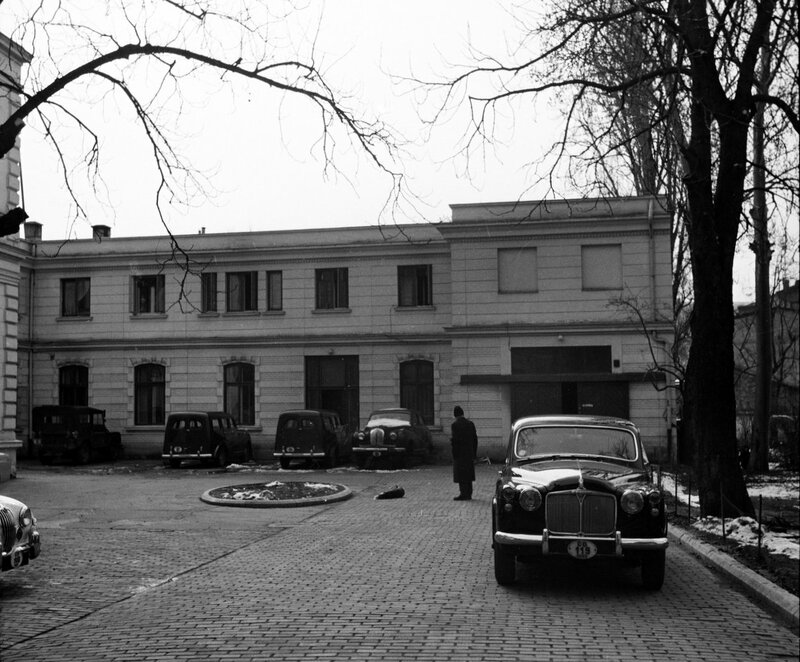 During the Cold War there was an embassy shop in the basement of the main building. A Swiftplan prefabricated building was erected on the adjacent strip of land in 1972 for additional offices, including for the British Council (in their guise as the embassy’s cultural section) . This building was replaced by a two-storey pre-engineered structure in 1992. 24 Strada Jules Michelet remains the embassy offices [?update]. Siteplan of legation house, 1928. View south, past main building, at left, to former stables block, 1958. 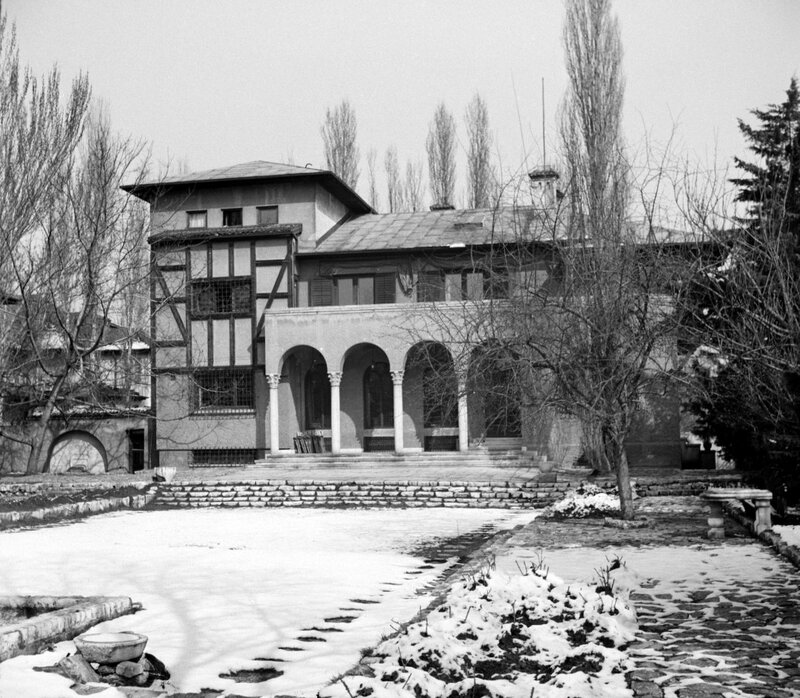 Entrance front of residence, 1958. Drawing room. 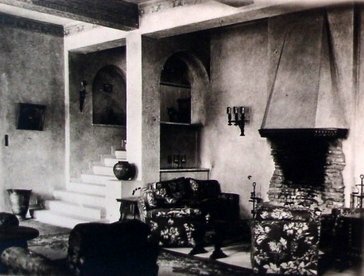 with foot of stair at left,1947. 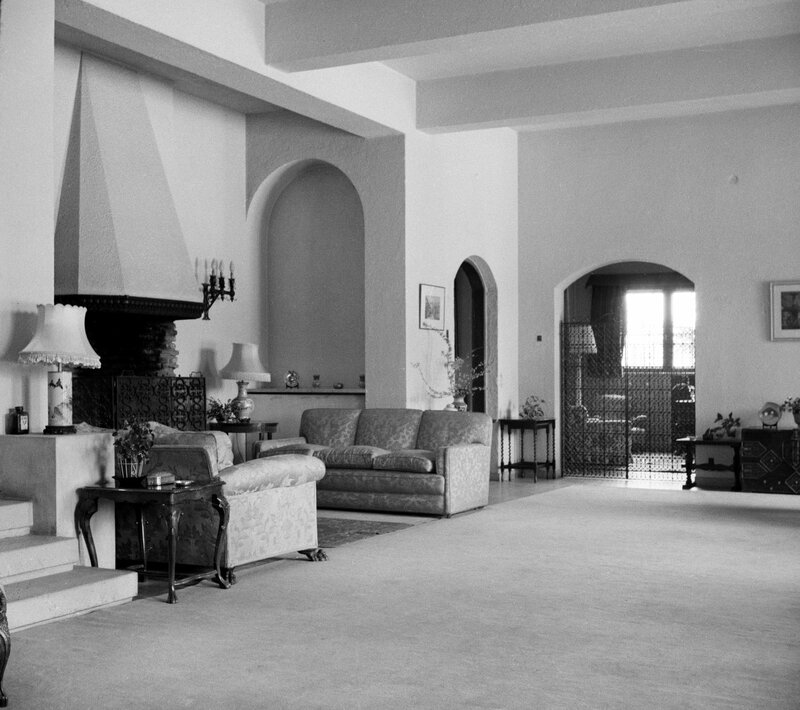 Drawing room, looking towards study and door to vestibule, 1958. 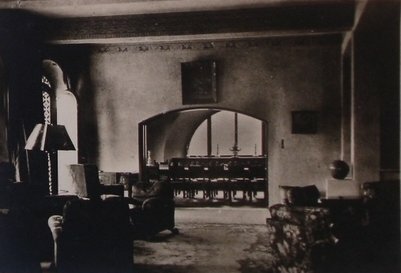 Drawing room, looking towards dining room, 1947. North front of 24 Strada Jules Michelet, 1990s.